Born Sep 9 18882,3,5,6,7,8,9 [Sep 9 188910], Hutchinson, Reno County, Kansas2,3,5,6,7,8,9. He married Lula B. Hollon, about 1913.2,3,11,12,13 Lula, daughter of - Hollon & - Miner2,12, was born Dec 21 18932,12 [Dec 21 189210,13], Oklahoma2,12. 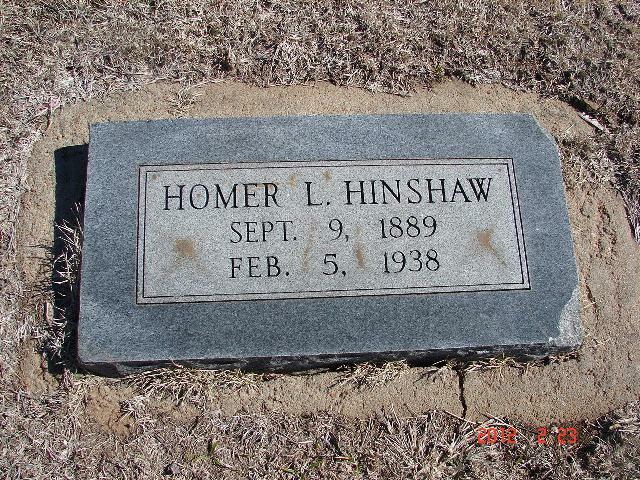 Henshaw, Homer L., head-of-household, age 29, born in Kansas; parents born in Indiana; owned home; occupation: laborer, oil field. 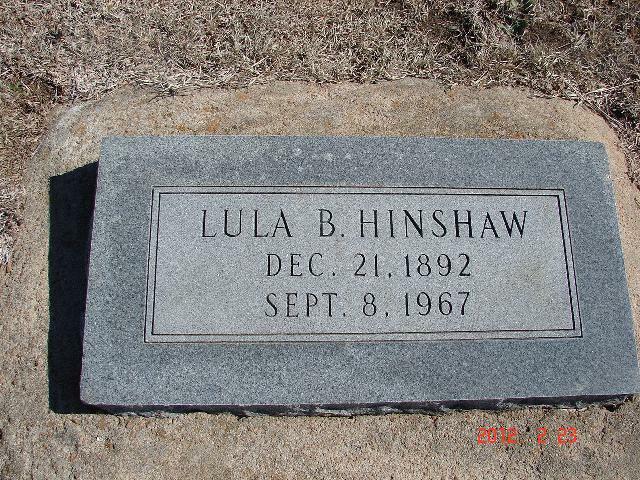 Henshaw, Lula B., wife, age 26, born in Oklahoma; father born in Missouri; mother born in Georgia. Henshaw, Hazel M., daughter, age 5, born in Oklahoma; father born in Kansas; mother born in Oklahoma. Henshaw, Raymond E., son, age 3 years 4 months, born in Oklahoma; father born in Kansas; mother born in Oklahoma. Henshaw, Russell D., son, age 1, born in Oklahoma; father born in Kansas; mother born in Oklahoma. 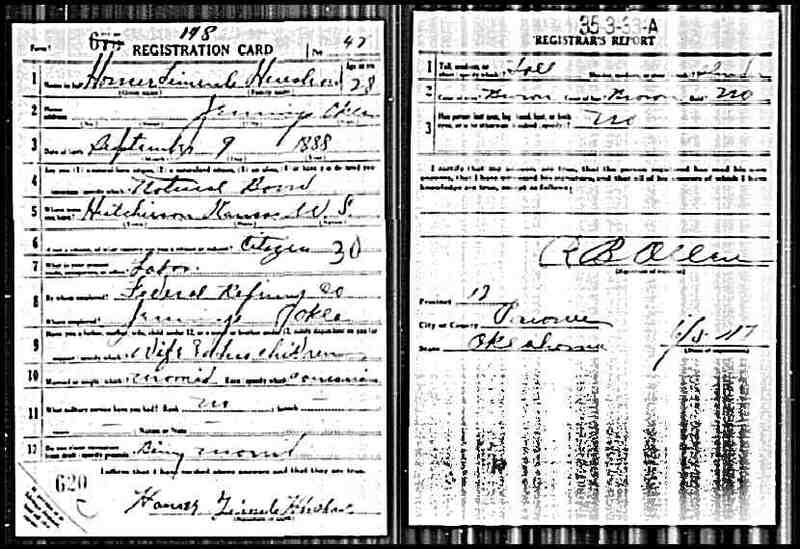 Henshaw, Homer L., head-of-household, age 40, born in Kansas; father born in Missouri; mother born in Iowa; first married at age 22 [unclear]; rented home ($10 rent); radio in home; occupation: pumper, oil wells; not a veteran. 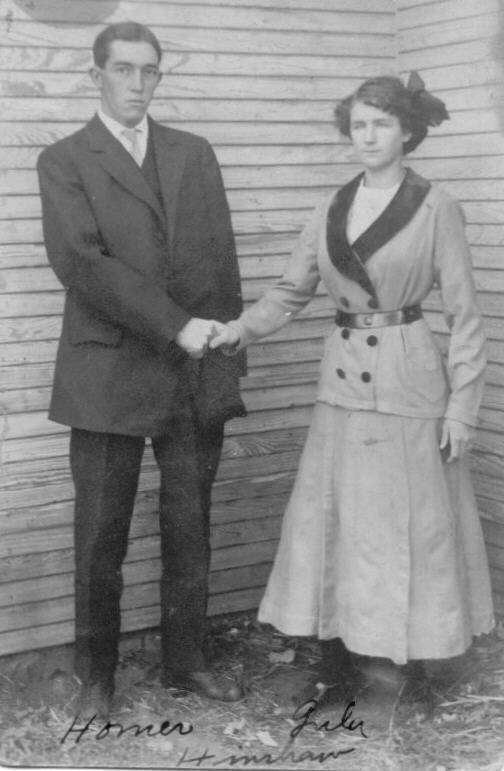 Henshaw, Loula B., wife, age 37, born in Oklahoma; parents born in Georgia; first married at age 20. 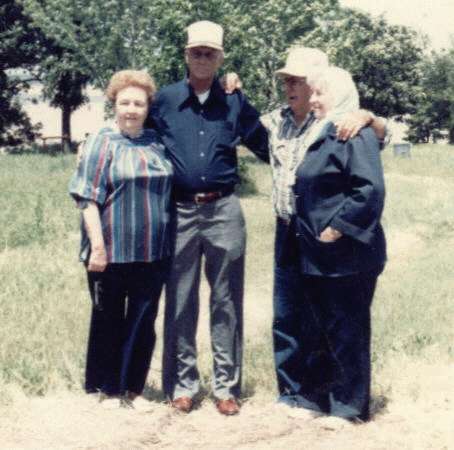 Henshaw, Hazel M., daughter, age 15, born in Oklahoma; father born in Kansas; mother born in Oklahoma; attended school. Henshaw, Raymond E., son, age 13, born in Oklahoma; father born in Kansas; mother born in Oklahoma; attended school. Henshaw, Russell D., son, age 11, born in Oklahoma; father born in Kansas; mother born in Oklahoma; attended school. 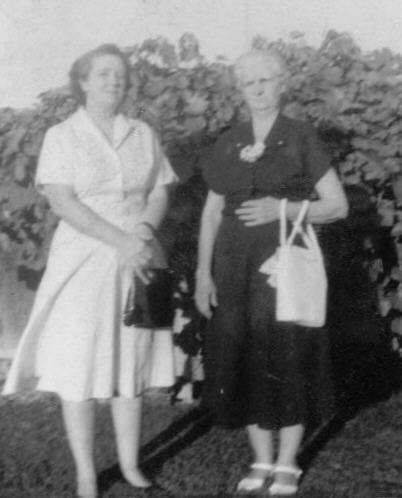 Henshaw, Mable F., daughter, age 8, born in Oklahoma; father born in Kansas; mother born in Oklahoma; attended school. Henshaw, Calvin C., son, age 5, born in Oklahoma; father born in Kansas; mother born in Oklahoma. 1930 census, McElroy Township, Pawnee County, Oklahoma; roll T626-1924, ED 19, page 6A, line #19, dwelling #109, family #109. Contribution from Luann Showalter Core.